Of the new additions, over a quarter of them belong to threatened species, as the wildlife parks continue their conservation breeding efforts. Some of the little ones are already a star on their own. 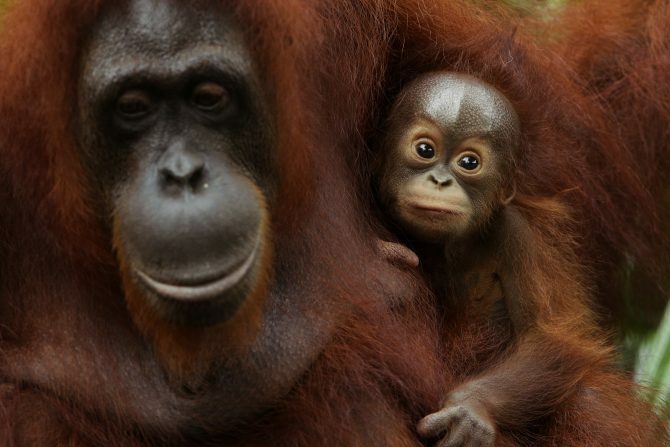 Singapore Zoo’s 46th orangutan baby Khansa clings on to mother Anita. She will remain by her mother’s side for a few years until she has picked up all the skills she needs to venture on her own.